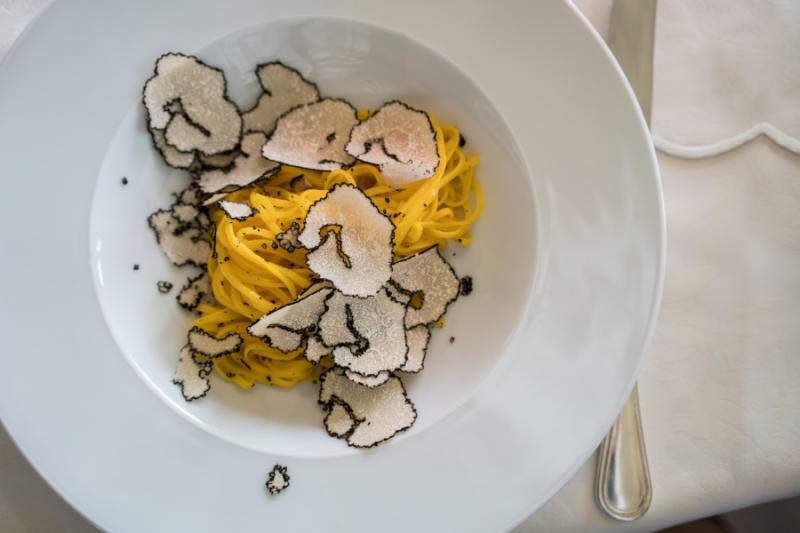 Few countries in the world compare to Italy’s culinary prowess. 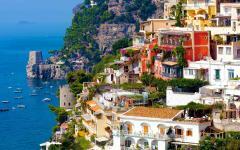 On this 9-day personalized Italy tour, celebrate the mastery of Italian cuisine with Iron Chef Alex Guarnaschelli. 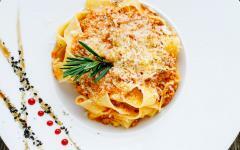 Discover authentic dishes, fine wines, and the culinary heritage of Emilia Romagna, Tuscany, Lazio, and Campania. 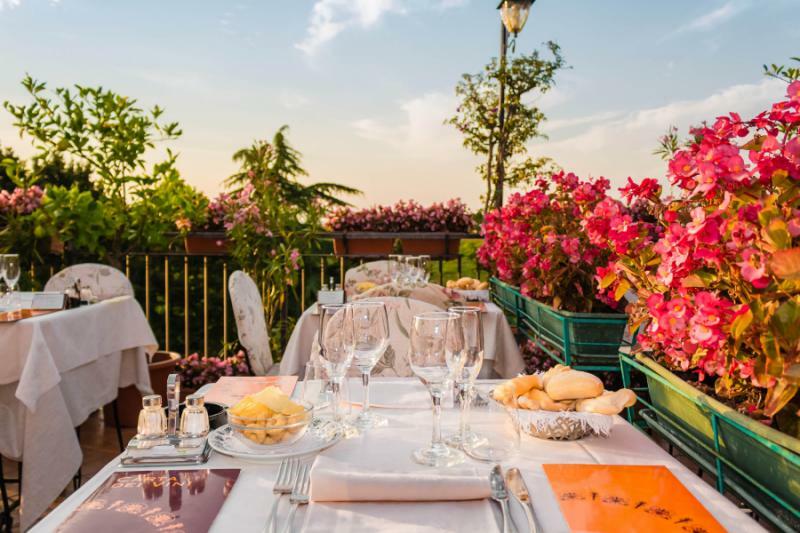 Savor the fresh taste of local ingredients and treat yourself to elaborate panoramas of rolling hills, lush vineyards, and the glistening Tyrrhenian Sea. Engage in private cooking demonstrations with Chef Alex while learning about the details that shaped her gastronomic lifestyle and influenced her culinary career. 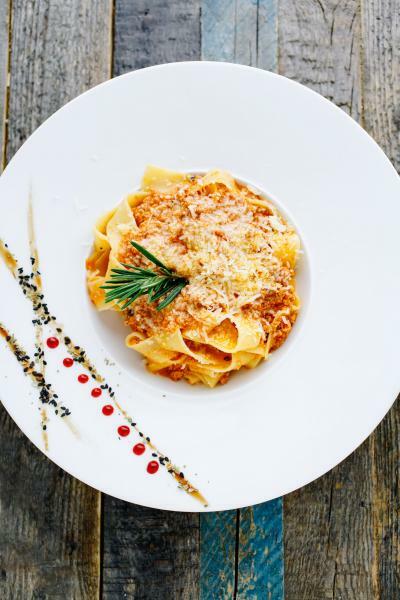 The flavors of Italy welcome you by sharing stories of traditional cuisine, contemporary cooking styles, and the connection between food and culture during your exclusive Italy tour. Your ultimate culinary Italy tour observes how history and culture have shaped the cuisine of Italy while accompanied by the unforgettable personality and culinary perspective of Iron Chef Alex Guarnaschelli. 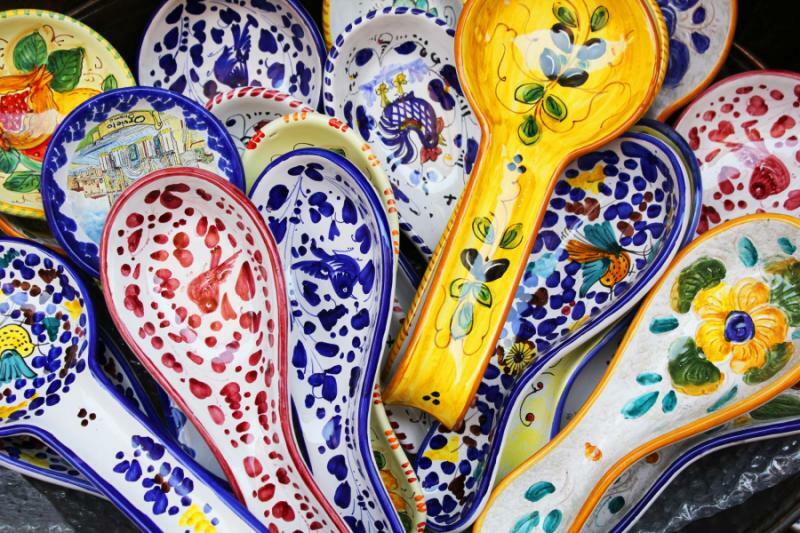 Cuisine, landscape, and culture intertwine on this tour that features elegant traditional dishes and Chef Alex Guarnaschelli’s inspiring creativity. 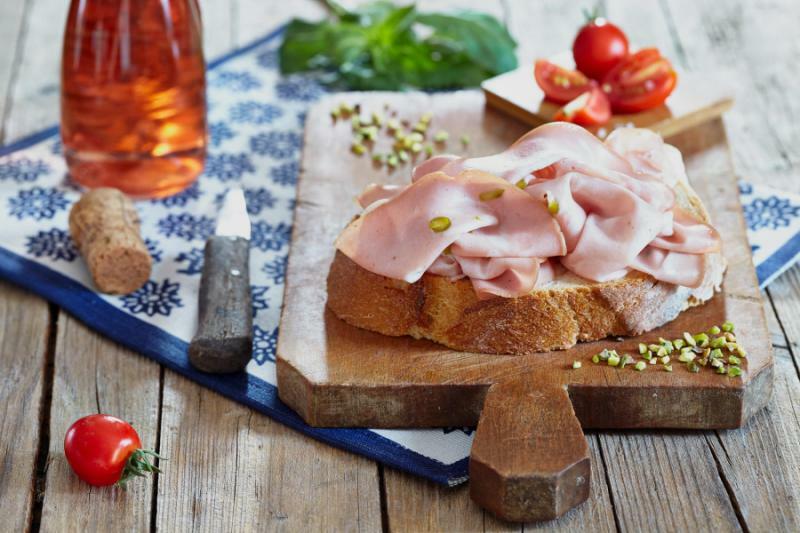 Local ingredients describe the heritage of small villages while grand cities encourage the evolution of new culinary delights; and yet, both pay homage to the gastronomic traditions that lead you from Bologna to the Amalfi Coast. 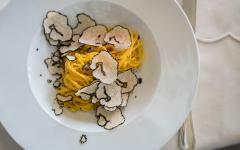 This trip gives you special access to Italy’s familiar, yet unique flavors that magnify the beauty of the countryside. 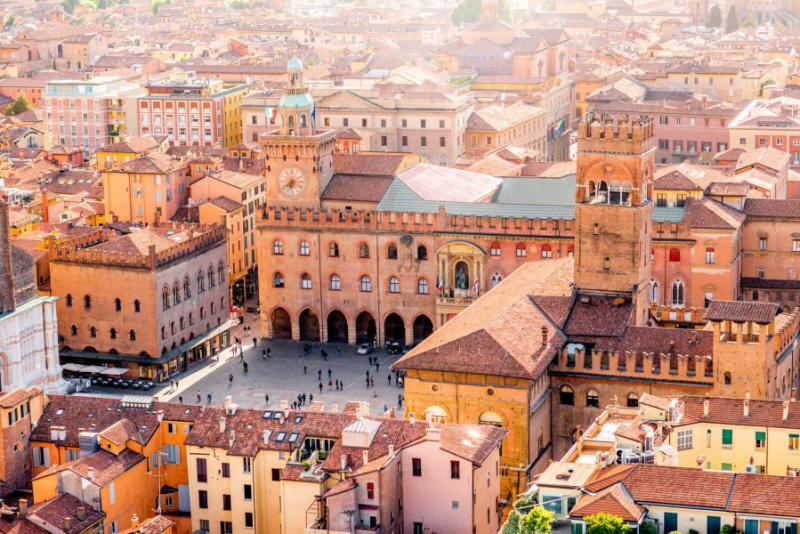 The trip begins in Bologna*, which is also known as La Grassa, the Fat One, for its proud connection to the spirit of Italian cooking. The greater region of Emilia Romagna is famous for containing the provinces producing Parmigiano Reggiano, balsamic vinegar, and the iconic Bolognese sauce. 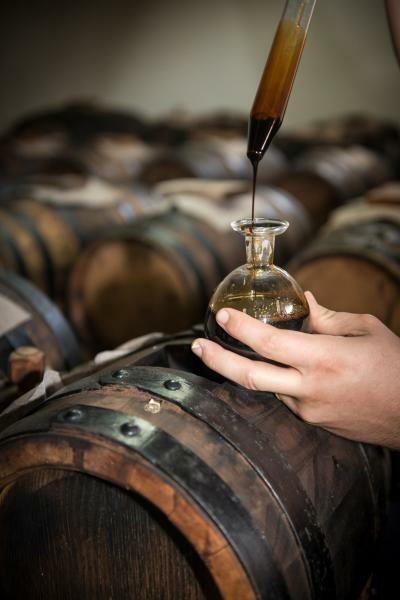 Spend time sampling freshly opened parmesan cheese and tasting the differences between 12, 15, and 25-year-old balsamic vinegar. 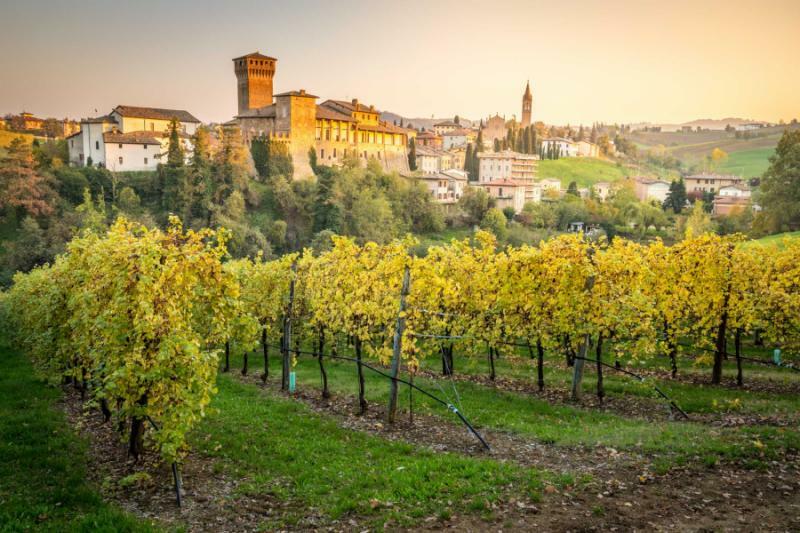 Enjoy getting to know Chef Alex at dinner, making fresh pasta from scratch, and sampling the lesser-known but equally delectable wines of Emilia Romagna in the medieval town of Dozza. 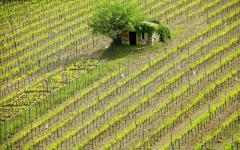 Travel through the famous region of Tuscany en route to the Umbrian town of Orvieto. 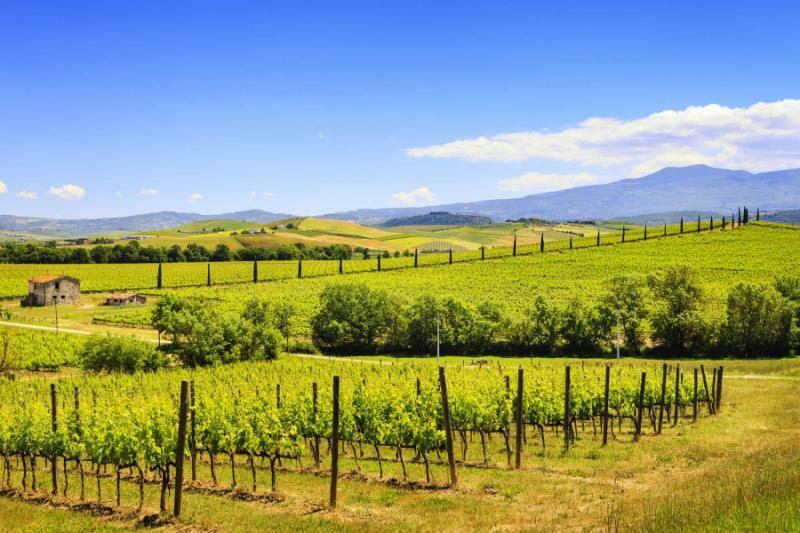 Embrace the picturesque vineyards, famous rolling hills, and treasured olive groves around the town of Montalcino, which is known for producing the “Queen of Italian wines,” Brunello di Montalcino. 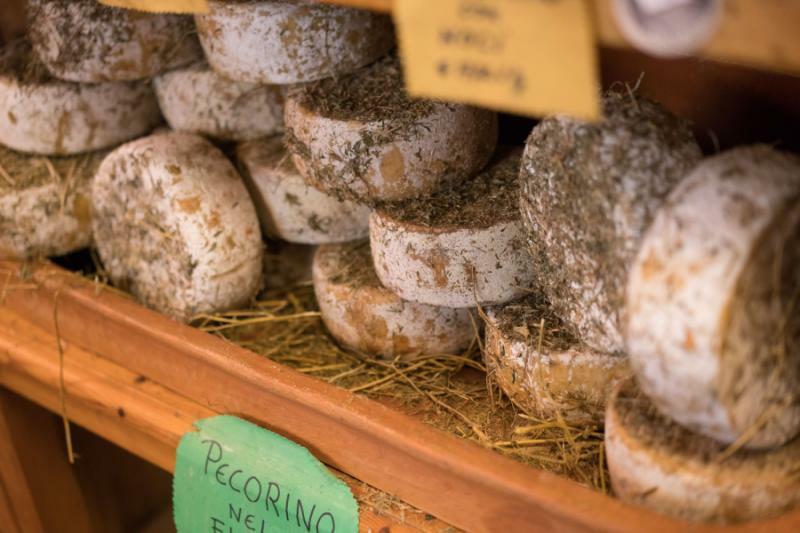 Wander the cobbled lanes of Pienza and sample the delicate tastes of local Pecorino cheese. Relax in the quiet streets of Orvieto at your leisure or wander the elevated lanes of Assisi following in the footsteps of St Francis. 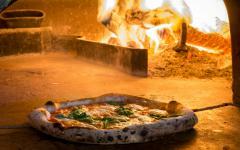 Delve into the distinctive properties of making pizza dough and dine in an ancient cave hosting a cherished restaurant making traditional dishes. 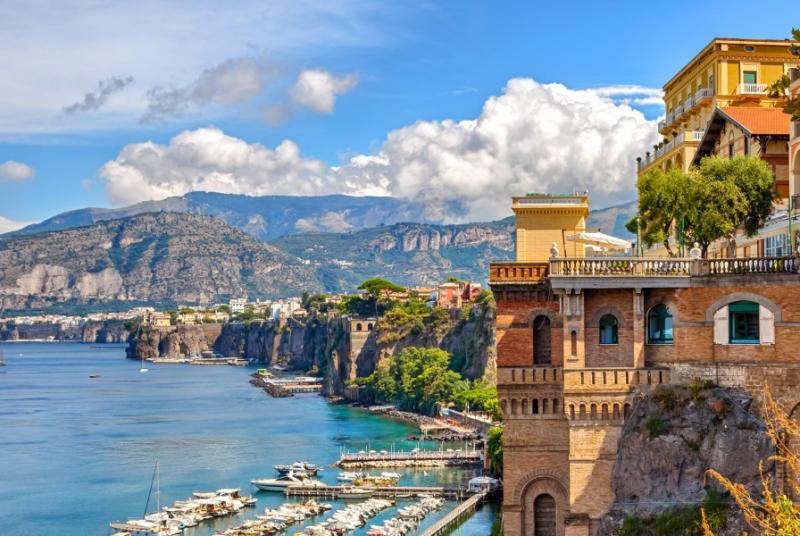 Relax in the beauty of the Mediterranean coast when visiting the charming town of Sperlonga and settle into the comforts of the colorful city of Sorrento at the edge of the Bay of Naples. Italy is filled with culture and cuisine that differs from town to town and region to region, stemming from a history of independent medieval communes. 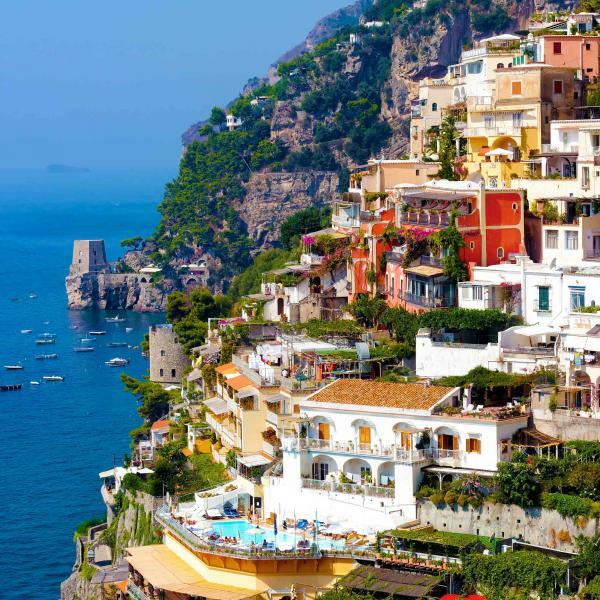 Savor the citrus flavors of limoncello in Sorrento, enjoy a final cooking demonstration with Chef Alex, and indulge in a baking lesson that shares the secrets of crafting the perfect sfogliatelle before indulging yourself in the beauty of the Amalfi Coast at Positano. 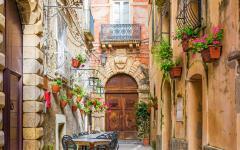 Learn more by seeing how our partner Italy travel agents can customize your dream itinerary for you. *If your flight brings you to a city other than Bologna--or you arrive a day or two earlier--we can assist with transportation and/or accommodations. Dates are flexible and customizable for private departures. 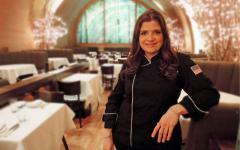 Chef Alex Guarnaschelli will accompany the small group tour during June 22 - July 1, 2018. The city of Bologna boasts the size and importance of a regional capital but maintains a relaxed ambiance deriving from the preserved historic architecture and a local culture focused on food. 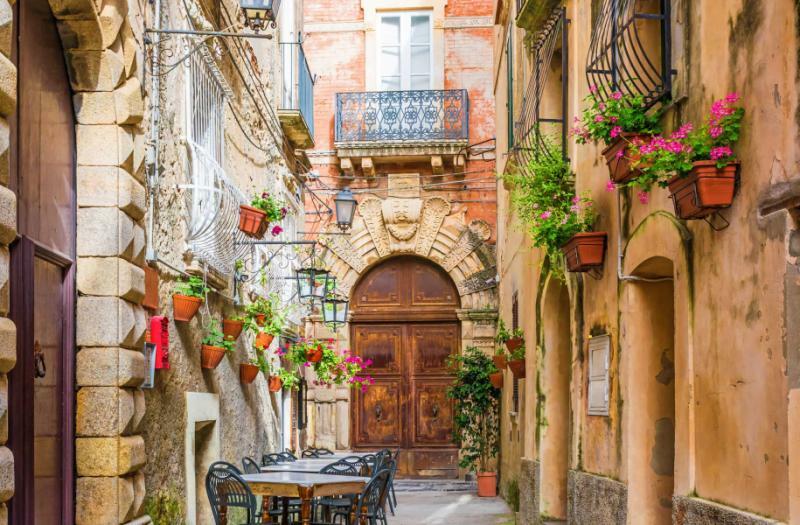 Elegant antique arcades host quiet boutique shops and the numerous cafes across the city fill the streets with the aromas of espresso or fresh-made pasta. Neptune Fountain in the heart of Piazza del Nettuno was erected in the 16th century and remains a focal point of the square while the surrounding streets connect to the heart of the historic city. The water trickles beneath the adorning figure of the muscular god of the sea in view of the 13th-century tower of Torre dell’Arengo. Your flight lands at Bologna Guglielmo Marconi Airport, where your private transfer greets you upon your arrival. Settle into the comforts of your hotel located near the heart of the bustling city of Bologna and its fascinating medieval architecture. 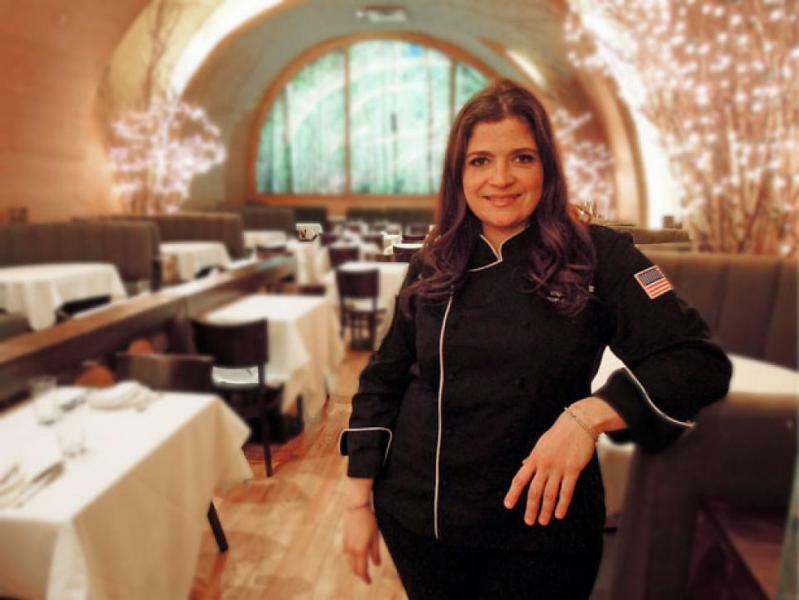 In the afternoon, you officially meet Chef Alex Guarnaschelli, the culinary expert known for creating inspiring dishes with an eclectic take on American and greenmarket cuisine. She has earned the coveted title of Iron Chef after besting nine rival chefs in the Food Network culinary competition The Next Iron Chef: Redemption, is a regular co-host on the popular television program Beat Bobby Flay, and has authored several cookbooks including The Home Cook: Recipes to Know by Heart, which was released in 2017. Chef Alex greets you with a warm, inviting welcome to Italy before you venture to a cheese factory in Parma to sample the famous Parmigiano Reggiano cheese. The first room fills with the scent of milk as cheesemakers cook the milk to separate the whey. 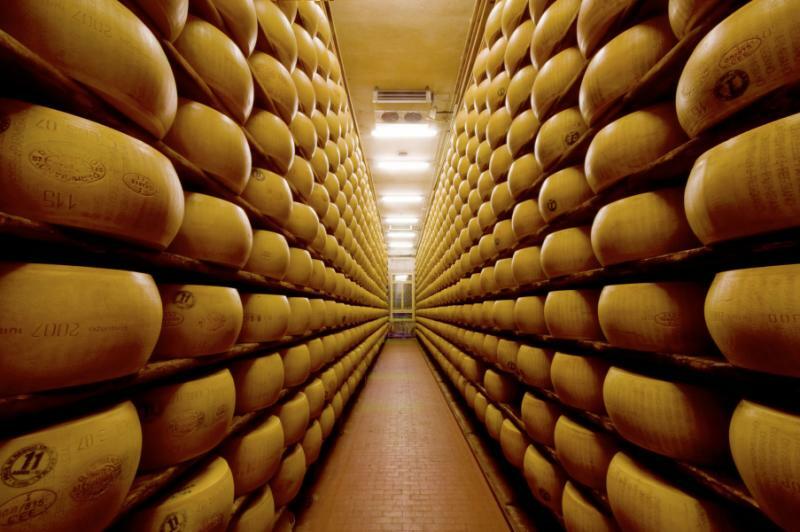 The factory sources milk from the nearby dairy farms where the cows’ specific diet adds to the distinctive flavors of Parmigiano Reggiano. 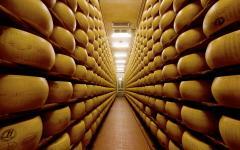 At the end of the tour, you walk through the warehouse stacked with wheels of cheese, each weighing up to 80 pounds. Your guide proceeds in the meticulous process of opening the wheel of cheese by first knocking on the outer rind listening for hollow spaces from air bubbles. The more bubbles, the lesser quality the cheese, in addition to a shorter aging period to ensure the cheese does not produce mold. After opening the wheel, you sample the cheese, finding a deep nutty aroma and a sharp flavor accompanied by bursts of salt from the crystals. 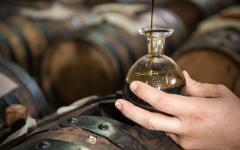 You continue to the town of Modena to tour a factory that produces fine balsamic vinegar. The sweet aroma of stewed grapes drifts through the air before you step through the door. You walk through the factory, learning about the traditional methods the family-run business continues to follow to create a range of rich and seductive flavors from the Trebbiano or Lambrusco grapes. You sample the traditional balsamic aged 12 years and notice the notes of fig and molasses as well as cherry and chocolate for a sweet note before dinner. Breakfast consists of a full buffet filling the dining room with aromas of fresh fruit, delicious pastries, eggs, cereals, and a selection of coffee, tea, and traditional American staples like bacon, sausage, and potatoes. 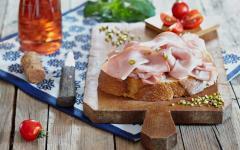 You can also choose to enjoy breakfast like an Italian by sipping espresso and enjoying a fresh-baked brioche. You remember the talk Chef Alex gave at dinner the night before, sharing her philosophy of cooking and stirring a passion in you for ingredients and dishes that pay homage to culinary history. 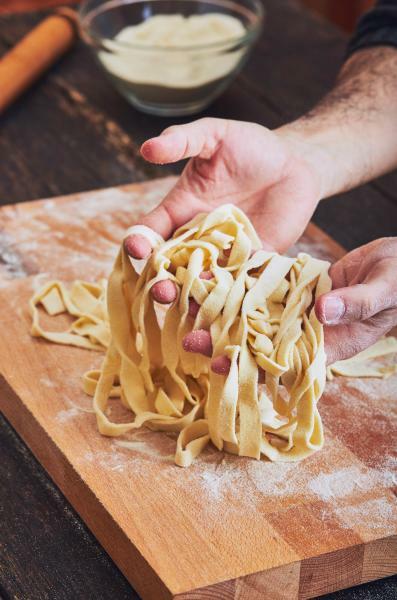 You venture to the famous Vecchia Scuola Bolognese culinary school after the meal for a pasta-making class guided by local experts with great insight offered by Chef Alex. One of Chef Alex’s beliefs consists of the importance of greenmarket ingredients, referencing the importance of seeing and purchasing items that are grown locally, which remains a long-standing tradition of Italian cuisine. As Bologna is often referred to as the “Stomach” of Italy, La Vecchia Scuola Bolognese offers insight into the pasta making process, as well as the best methods for producing pasta at home like a Bolognese local. 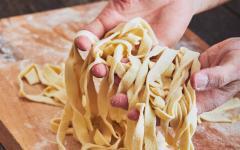 Chef Alex accompanies you in the demonstration as you learn about the artistry, tradition, and integrity of making homemade pasta. The medieval village of Dozza is listed as one of Italy’s most 100 beautiful villages due to the quiet urban landscape overlooking the sweeping greenery of Emilia Romagna and the dramatic fortress walls continuing to protect the streets. Painted walls decorate the homes at the heart of the village providing the different neighborhoods with a distinctive appearance that contrasts the lush, fertile landscape. You reach a small but unforgettable wine cellar hidden beneath the 13th-century fortress. The cellar hosts over 1,000 labels from 260 different regional wineries; it explores the evolution of wine around Emilia Romagna and speaks directly to Chef Alex’s passion for local ingredients and goods. Your host pours a sample of the Gutturnio, a name derived from the word the Romans used for a cup during drinking festivities. The bright, ruby hue glints in the soft light of the cellar. 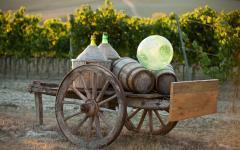 The young and sparkling wine contains hints of violet and forest fruits like blackberries and apples with a light body. 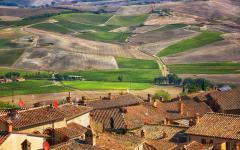 You travel with your private transfer and Chef Guarnaschelli out of Bologna and to the famous hills of Tuscany. The greenery rolls across the landscape, accentuated by the vineyards spreading across the slopes and the cypress trees lining the country roads. The aroma of fresh olives emanates from the olive groves before you reach the town of Montalcino at the southern edge of the region. The classic town rests within the fortified circle of historical walls and beneath the fascinating crenulated towers of a medieval castle, resembling the architecture of a fairytale. Little has changed in Montalcino since the 16th century as the cobbled lanes continue to open to views of yellow and red flowers dotting the landscape amidst oak trees and picturesque vineyards. A variety of wine shops line the avenues winding through the village carrying the world-renowned local varietals of Brunello di Montalcino. 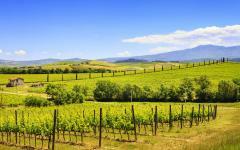 The small family-run winery has a gorgeous view of the Val d’Orcia region leading to Mount Amiata in the distance. Your guide provides a quick history of the family, whose ancestors have been farming the land for generations. 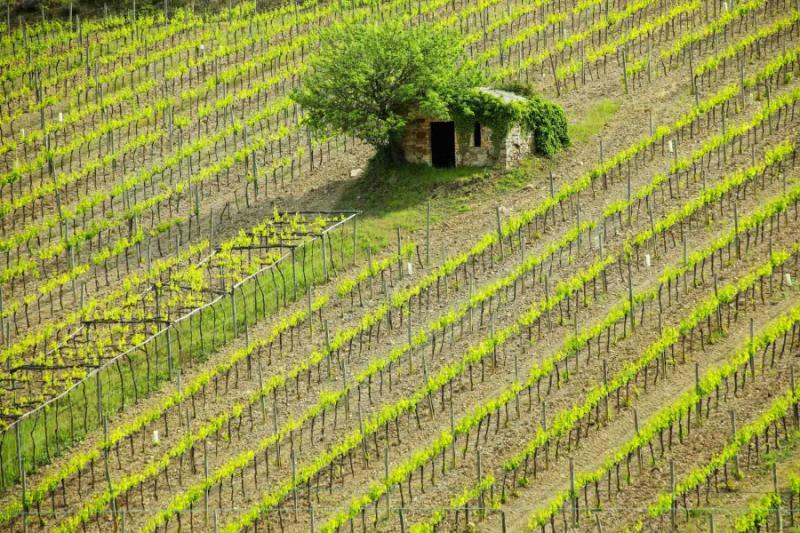 A rich connection to tradition emanates from the way they cultivate and produce their wine. You sample a grape from the 12 acres of property the family owns and notice the astringent flavor of the juice before the fruit ripens. The oak barrels in the cellar blend the scent of wood with a subtle fragrance of fermentation. Your guide pours a sample of the wine in the tasting room, offering more explanation of how the natural minerals in the soil, as well as the different microclimates of the region, lend to the different flavors of the wine. The Montalcino is aged for 30 months and contains 14 percent alcohol. The aromas of vanilla and toasted spices drift upwards from the glass and the wine leaves the lingering flavors of oak, plum, and ripe red cherry on your palate. The stunning town of Pienza was once a sleepy hamlet before its renovation in the 15th century under the patronage of Pope Pius II. The head of the Catholic Church wanted to instill the ideas of the Renaissance into his home village. The Duomo contains a mixture of Gothic and Renaissance architectural styles with a marble tabernacle crafted by the sculptor Bernardo Rossellino and an octagonal bell tower towering above the foundations of the ancient crypt. Small shops line the cobbled lanes with window displays showcasing artisan wines, pastas, salamis, and cheeses. 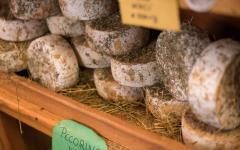 The town is renowned for producing delicious pecorino, a cheese made from sheep’s milk. The farmers in the area care for their sheep by encouraging a healthy lifestyle that determines the great flavor of the cheese produced. This ranges from allowing the sheep to graze on wild herbs for stronger milk to snacking on planted grains to make the cheese softer. In the tasting room, you enjoy the gentle flavor enriched by the salty and earthy note, in addition to the crumbly texture. The cheese does more than hold a fantastic flavor; the pecorino tells a story of the valley and how the sheep were raised and how the cheese was produced. Your guide drizzles some honey over the aged pecorino, balancing the salty and sweet components for an unrivaled flavor. At breakfast, you sip a frothy cappuccino and bask in the refreshing mixture of bitter and sweet with a full-bodied texture. Today is at your leisure to explore the Umbrian town of Orvieto at your preferred pace or discover the splendors of Assisi. 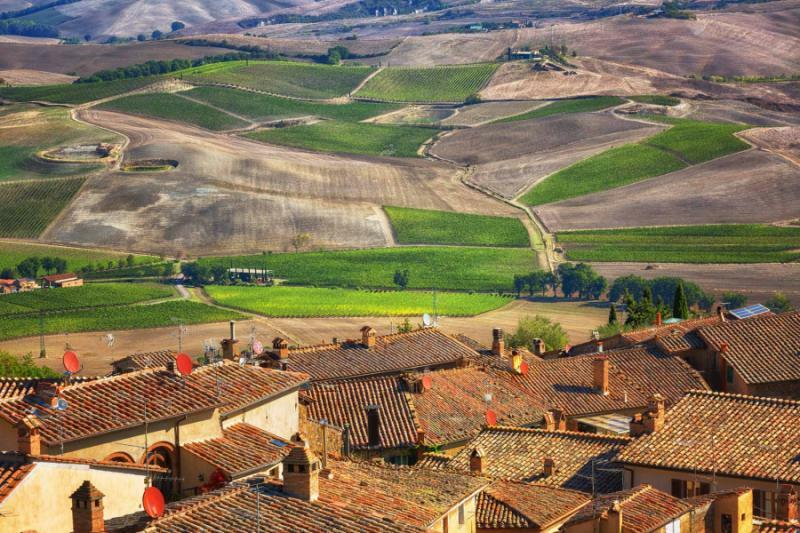 Orvieto has a volcanic plateau high above the fields of Umbria streaked with vineyards and olive orchards divided by sporadic lines of cypress trees. The history of a settlement on the hilltop dates back more than two millennia to the Etruscans while the cobbled lanes and relaxing piazzas of the village date back to medieval Italy. The remarkable cathedral was erected in the 13th century with a black and white band decorating the façade. Frescos create an amalgamation of color along the exterior with mosaics shimmering in the spreading sunlight like jewels. Bas-reliefs protrude from the elegant architecture in the form of delicate braided flowers and sprawling vines. The interior contains works by Renaissance artist Luca Signorelli, who decorated every inch of the Cappella di San Brizio with frescoes depicting the Last Judgement, a collection of works said to have inspired Michelangelo’s masterpiece. If you choose to venture outside of Orvieto for the day, consider an optional day trip to the hilltop town of Assisi. A town that influenced both religious expression and European art history, as well as the hometown of Saint Francis. The medieval architecture ascends with the hillside until reaching the dramatic 14th-century defensive walls of Rocca Maggiore at the top of the mountain. The Umbrian plains extend across the base of the mountain towards the city’s historic rival of Perugia near the horizon. The spiced aromas of frankincense and myrrh emanate from the impressive 13th-century Basilica di San Francesco, one of the world’s most important pilgrimage destinations. Pope Gregory IX laid the first stones of the foundation the day after canonizing St. Francis in the 13th century, beginning what would become two connected structures. Romanesque vaulted ceilings soar above the floors of the lower-level nave while Gothic lines decorate the upper church. Giotto and Simone Martini crafted the frescoes in the lower church, depicting scenes from the life of St. Francis. A stone sarcophagus in the crypt contains the remains of the saint once lost to the world until rediscovered in the 19th century. Whether you choose to wander the streets of Orvieto or traverse the hilly cobbled lanes of Assisi, you celebrate the night with a special meal prepared by Chef Alex. Her knowledge of international ingredients and cuisines emerge from the spectacular dishes she prepares while using ingredients sourced from around Orvieto and Umbria. After breakfast, you meet a special pizzaiolo (professional pizza maker) who has led a movement to return to the genuine and traditional methodology to making pizza. The expert chef uses only artisan flour ground by hand and mixed with yeast over ten years old. Your chef explains the importance of letting the dough rise for 24 to 72 hours. Every 24-hour period the dough rests is the equivalent of aging a fine wine for a year. 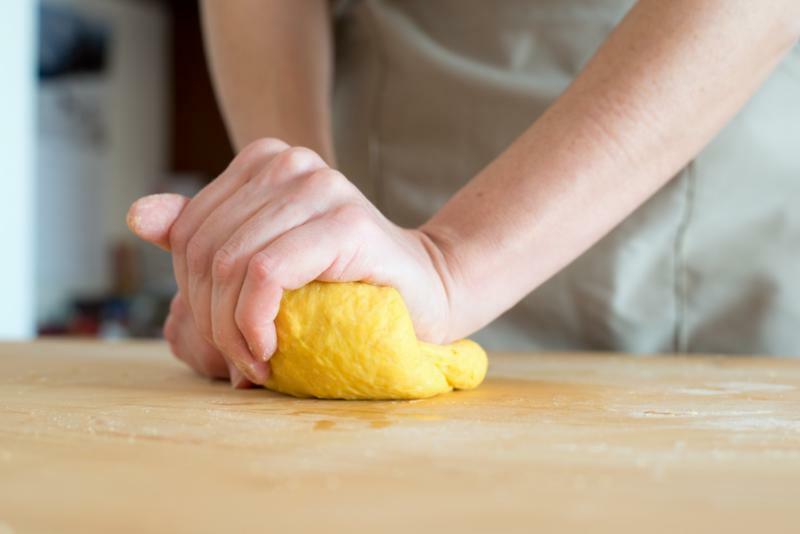 You follow the recipe to complete the artisan dough, feeling the sticky results clinging to your fingers before you place the dough aside to rest. You roll out the pizza to a flat, circular shape and cover the dough with your favorite toppings culminating in a crescendo of complementary flavors. 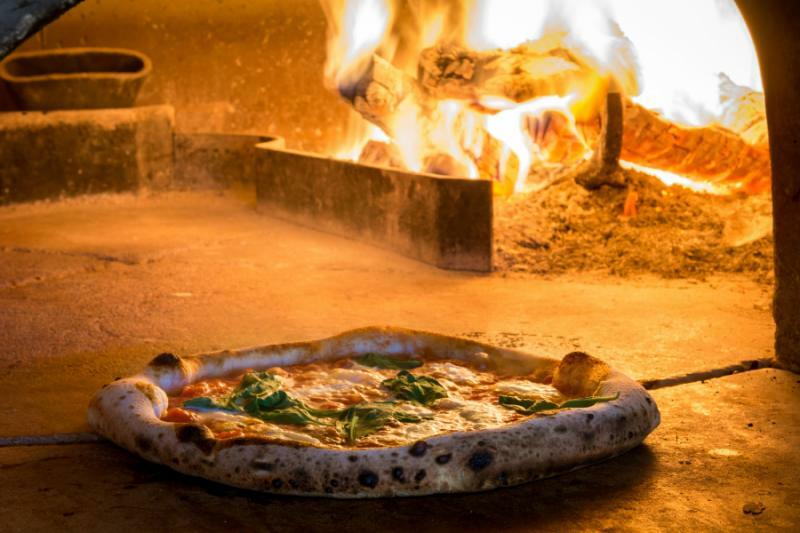 Instead of stacking the pizza with every topping available, your chef helps guide you as to which toppings best accompany one another and the flavor of the dough, whether a simple margherita pizza or shaved truffles with buffalo mozzarella. Your day revolves around the simple pleasures of Orvieto from the tasty flavors you created during your pizza class to the tranquil activity of sipping a glass of cold white wine in view of the countryside’s lush greenery. In the evening, you step into an ancient cave which once housed a rope-maker’s workshop nearly a millennium ago. Instead of the scent of rope, you find the aromas of chestnut soup and the sweet, savory combination of a simmering duck ragú. Your private transfer to Sorrento takes you along the coast to reach the charming ancient coastal town of Sperlonga. White-sand beaches glint in the sunlight against the azure waters of the Tyrrhenian Sea. The antique buildings climb up the hillside overlooking the Mediterranean coast. The breeze carries the aroma of the briny water as it rustles the yellow and green umbrellas of beachgoers. Narrow whitewashed walls frame the cobbled lanes of the medieval center hosting boutique shops, elegant restaurants, and quiet cafes. The artichoke fields outside of town cover the ruins of a villa complete with decorative fishponds. A grotto contains statues of the Greek hero Ulysses, whom local legend says sailed past the coast three millennia ago. Visitors from Rome and Naples indulge in the art of complete relaxation when visiting Sperlonga, choosing to sip the local Trebbiano di Lazio wine, listen to the lapping waves of the sea, and linger over a plate of garlic prawns or grilled octopus at dinner. 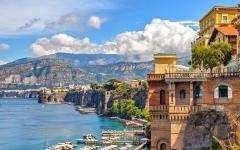 You reach the town of Sorrento and have the remaining day at your leisure. The citrus scent of lemon and orange groves drifts through the streets of the town along the Bay of Naples. The cobbled lanes lead from the harbor up the craggy cliffs along the coastline. The relaxed ambiance derives from the marvelous seaside with antique streets lined by former noble houses. The Greeks, Romans, and Byzantines ruled over the city over the past 3,000 years, giving way to the likes of the French and Spanish. The Greeks built the foundations of the fortified walls later strengthened by the Romans and rebuilt after the 16th-century Turkish assaults. Just before sunset, locals make their way to the park directly above the Marina Grande to relish the views over the water, watch the colorful boats, and enjoy the hues of sunset layering the horizon. In the morning, you look out over the shimmering waters of the Bay of Naples and notice the iconic summit of Mount Vesuvius, the volcano infamous for its role in burying the nearby ancient city of Pompeii. The day is once again yours to discover the splendors in around Sorrento at your preferred pace. You can find the Roman columns decorating an 11th-century nave at the Basilica of Sant’Antonino or find the ruins of a Roman villa from the 1st century BC at Villa Pollio Felice on the Bagni della Regina Giovanna. 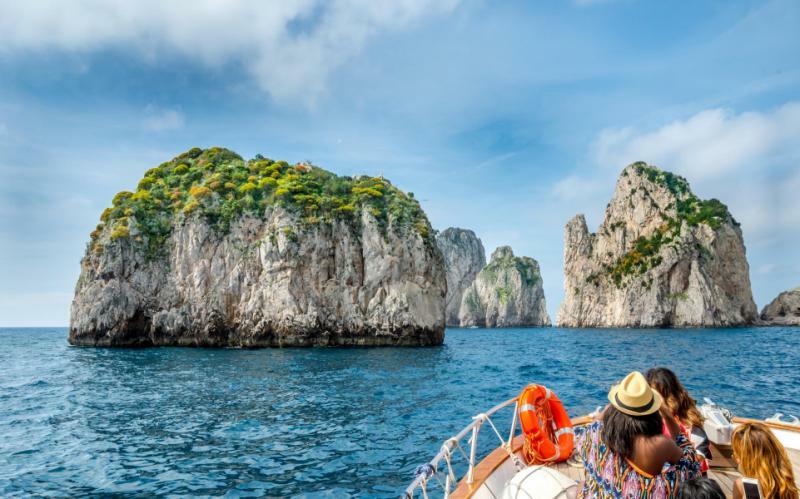 A more exciting day trip takes you on a ferry across the Bay of Naples to reach the Isle of Capri. The coastal cliffs reach 200 feet above sea level, and a funicular travels up the steep ridge between the Marina Grande and the main square of Piazza Umberto I.
Cafes fill the piazzetta with tables and chairs where locals and visitors enjoy the views of the sea. The scent of briny water fades beneath the prevalent aromas of espresso and freshly baked brioche. The island quickly ingratiates visitors with its beauty from Roman emperors to Hollywood legends. Emperor Augustus’s gardens are located near the Certosa di San Giacomo. The flowered terraces rise along the hillside leading to a breathtaking panorama overlooking the Faraglioni sea stacks, limestone pillars reaching out of the water. 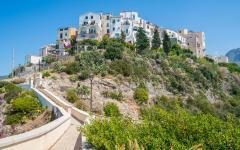 The blue-green water shines brightly beneath the afternoon sunlight, highlighting the winding footpath leading nearly 300 feet down to Marina Piccola. You return to Sorrento before dinner and meet Chef Alex for a cooking demonstration for an unforgettable dining experience. By helping Chef Alex create a meal, you learn more about the importance of local ingredients and the best ways to incorporate them into the food. You pay homage to the traditional cuisine of Sorrento, known for elaborate seafood and delectable gnocchi, while also changing the recipes enough to have Chef Alex’s originality. 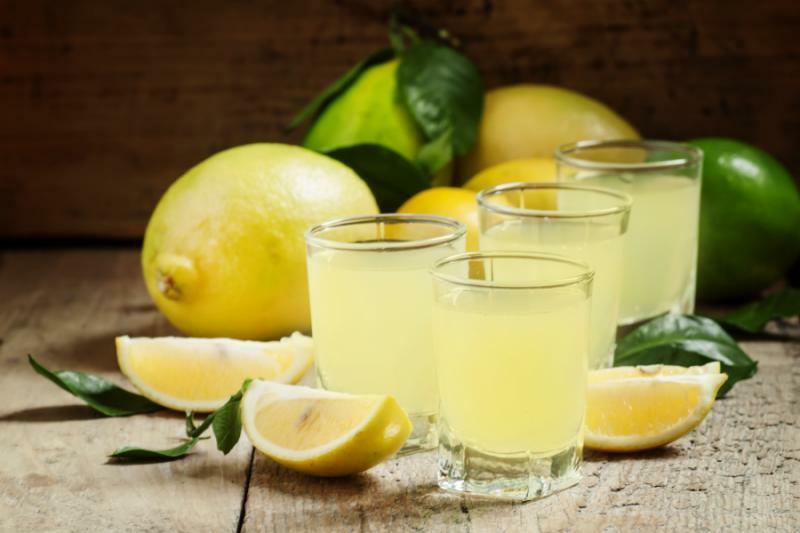 At the end of the meal, you indulge in another simple pleasure of the Bay of Naples, limoncello, an aperitif liqueur made by infusing alcohol, sugar, and lemon peel. Breakfast at the hotel, then off to the Bay of Naples to reach the famous eponymous city. As one of Italy’s three largest cities, the streets bustle throughout the day hosting exuberant colors and the animated and organized chaos for which the city is known. Boats wade in the harbor and the narrow streets winding through the historic neighborhoods fill with the subtle aromas of freshly made pizza dough. The day officially begins with your visit to a fabled pasticceria (bakery) known for making a decadent cup of hazelnut coffee. The nutty scent fills the room overtaking the aroma of the fresh pastries baking in the kitchen. The refreshing nutty flavor complements the natural chocolate notes of the espresso. You enter the kitchen where a tray of sfogliatelle sits cooling after baking in the oven. The traditional Neapolitan pastry contains ricotta cheese and can also have candied fruit. You sample the soft, flaky dough stuffed with a mixture of ricotta, semolina, sugar, cinnamon, and eggs with come citrus to cut through the sweetness before learning to prepare your own seductive tart of Naples. 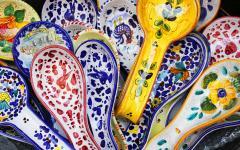 After the baking lesson, you travel to the Amalfi Coast’s westernmost town of Positano. The chic and fashionable streets rise along the cliffs decorated with the 13th-century church of Santa Maria Assunta and colorful medieval homes. The church’s dome glints with majolica tiles. Lemon trees thrive on the coastal terraces and fill the air with the aroma of citrus sweeping down the steep stone steps. Rowboats, paddleboats, and sailboats wade in the small harbor filled with clear turquoise water. A cobbler on via della Tartana crafts handmade sandals and boutique wine shops offer different types of liqueur inspired by limoncello with flavors ranging from orange to coffee. This evening, we will share a dinner saying farewell to Italy. You enter into a historical Saracen Tower overlooking the coastline and erected to protect the village population from pirate raids. The tower now hosts a restaurant combining the stunning views of the Amalfi Coast with the delectable regional cuisine. It will be a dinner you will remember always. You bask in the perfect beginning to the day with a balance of flavors and a breathtaking view over the Bay of Naples. The colorful fishing boats return to the Marina Grande after the early hours on the open water in search of swordfish, Bluefin tuna, squid, and octopus. The fishermen sell their fresh catches to the local restaurants or make their way to the fish market. After breakfast, you say goodbye to Chef Alex and meet your private transfer in the hotel lobby. You travel beneath the looming summit of Mount Vesuvius and around the coastline of the Bay of Naples to reach Naples International Airport for your flight home bringing an end to your ultimate culinary tour of Italy. "Our experience with this travel company was 100% positive." "Our travel agent's tour was great."